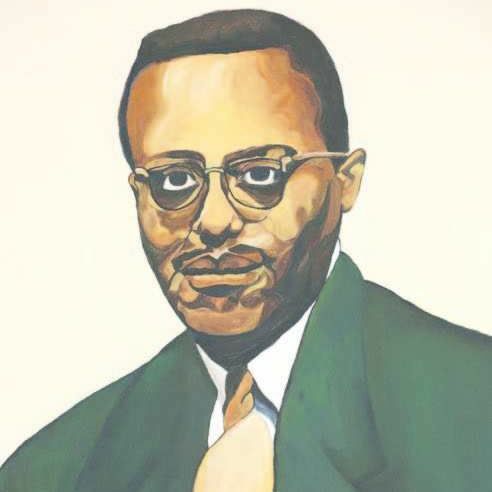 In the fall of 1946, Dr. Sumner Bohee ’50, Franklin & Marshall’s first African American student, began his undergraduate studies at the College. More pioneering black students soon joined him, among them Sydney Bridgett ’51, Grant Means ’51, Dr. Henry Wiggins ’55, and the Rogers brothers, Richard Rogers, Esq., ’57, P’90, Lemuel A. Rogers Jr., M.D., '59 and Peter Rogers ’69. In the decades since, a growing body of African American students has contributed significantly to the College in and out of the classroom and beyond campus; more than 650 African American alumni strengthen our communities, lead industries and defend our nation. 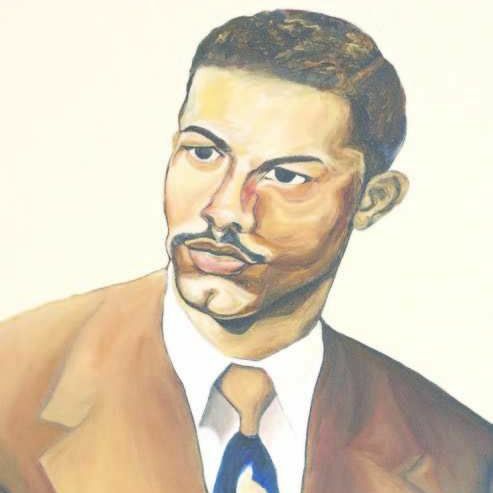 Learn more about pioneering black students and faculty at F&M by visiting the F&M Black History Timeline here. philanthropic investment in F&M’s community of color, the club provides means and inspiration for those who aspire to their courage and success. Pioneers Club members join with their contributions to the Pioneers Fund. Launched in 2016, the fund supports F&M institutions and initiatives that positively influence the ongoing presence and experience of students, faculty, administrators and staff of color at the College. To contribute online, click the button below, and write “Pioneers Fund” in the notes section. For Michael Savage ’20, college has been all about discovery and mentorship. A Mehlman Scholar from St. Louis, Michael’s F&M education allows him to explore his varied interests and to delve deeply into what fascinates him. In his first year, he took Professor Lee Franklin’s Introduction to Philosophy course and fell in love with the material. "I feel that philosophy helps me grow as a leader, speaker, thinker, inquirer, reader, observer and verifier. It’s logical and interdisciplinary, and I learn how it relates to other fields, from sociology to economics." This spring he’s been asked to precept for the same class that captured his imagination last fall, working alongside Professor Franklin. He feels honored to have the opportunity, and aware that it’s possible because of the way F&M faculty are accessible to their students. "I’m excited to use my realm of philosophical knowledge to introduce other people who may suspect they have an interest in the subject, and I’ll get to work with a really great professor. My effort doesn’t get overlooked." 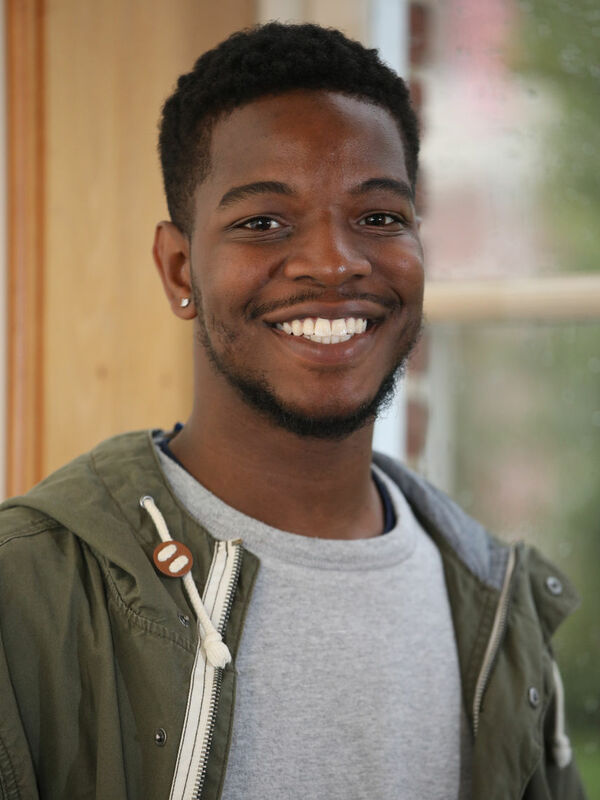 College has helped Michael become a more thoughtful and aware version of himself through classes and conversations with peers, faculty, and staff alike. “I feel enhanced and better equipped …. I am able to subject myself to criticism (and critique myself), find skills I value and see how what I learn relates to my everyday life. I am able to use critical thinking when I’m watching the news or having a conversation." What else does Michael have to look forward to? A lot, especially the prospect of studying abroad in China next summer. And he’ll bring a support system along with him. "I’ve never left the country before, so I want to go as far away as I can and get out of my comfort zone. I’m grateful that when I study abroad, I’ll be with some familiar F&M friends and faculty. I want to see the Great Wall of China!" Bronx native and Posse Scholar Abby Morenigbade ’18 has learned to be a leader thanks to her time at F&M. Activities on campus such as InterVarsity Christian Fellowship and in the Black Pyramid Society, as well as off campus, like in her work at the Refugee Center at Reynolds Middle School, where she volunteered and later interned through the Public Service Summer Internship and F&M Works in Lancaster, have informed her role as a leader. "What makes someone a leader is taking initiative in whatever circle you’re in. I’m thankful I got the opportunity at F&M to rethink the ideals of leadership." A psychology and government joint major with a minor in Africana Studies, Abby has had opportunities to work with many different professors, and she appreciates the ways they have been there for her. "I worked in Professor Casler's psychology lab, and when I came back from study abroad, she made time to meet up with me, even though she was on sabbatical. Professor Penn taught me that as psychologists we need to make a difference in the community. Professor Bernard is helping me finish my Africana Studies minor with a directed reading on the Harlem Renaissance. Having professors that are so passionate about what they do makes you want to learn more." One of Abby’s favorite aspects of her education was the chance to study abroad for a semester in London, where she saw material from her government classes in action. 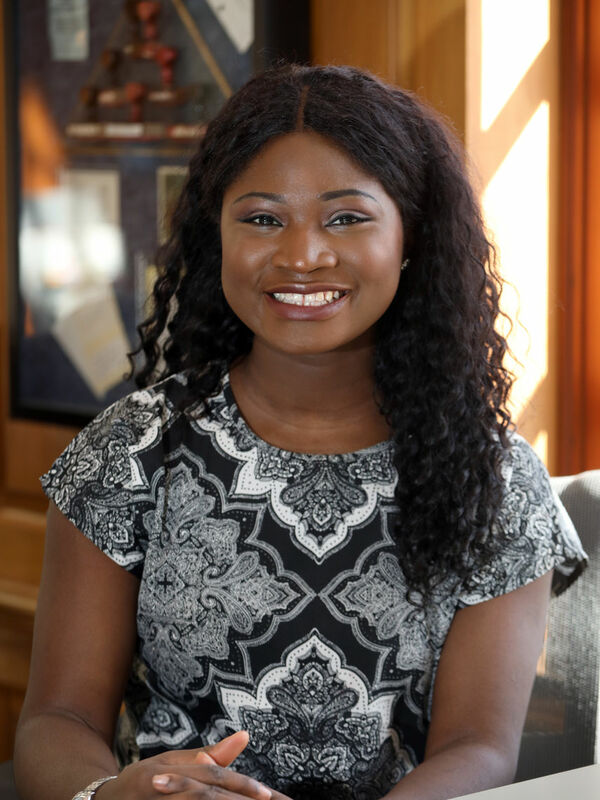 While there, she connected with a fellow Diplomat, Mandi Tembo ’14. "Even though Mandi and I weren’t at F&M at the same time, we have a shared community. She showed me around and we talked about grad school life, and it made me want to pay it forward to other F&M students when I’m an alum." As she gets ready to walk the Commencement stage in May, Abby reflects on how she’s grown at the College and what she loves about it. Despite uncertainty, she is looking forward to the future. "With a liberal arts education, we have all these skills we can take to any sphere. I have research skills, analytical skills, writing skills, and communication skills. I wonder what I’ll do, but I’m not worried." 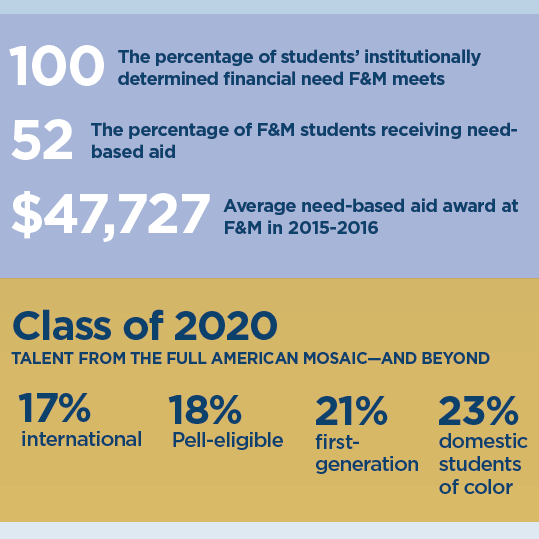 Through financial aid, the College will continue to recruit and retain talented students of color—individuals who will sustain the legacy of our pioneers and those they inspired at F&M over the course of 70 years. The AAAC and the Office of Student and Post-Graduate Development have partnered to provide opportunities—national conferences, graduate school applications, prep course fees and more—for students and alumni from underserved communities. 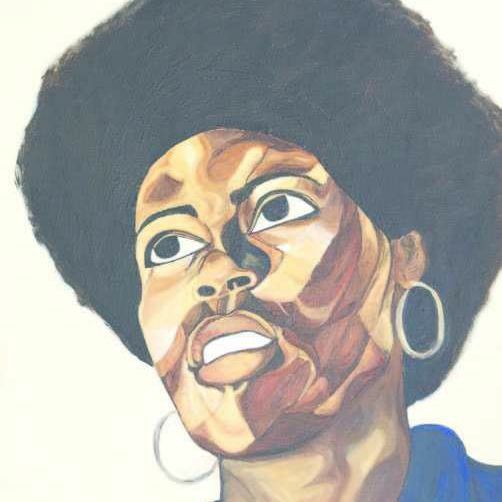 Since 1978, the Black Student Union (BSU) has served F&M’s community of color and the College at large through cultural, educational and social initiatives. In addition, the organization builds leaders, promotes unity and contributes to student success. The first F&M academic discipline initiated due to student demand at F&M, Africana Studies also provides a critical examination of factors that have created and shaped the African American and African Diaspora experiences throughout the world. The AAAC periodically reviews priorities and makes adjustments as appropriate. In addition to the aforementioned areas of support, council members can contribute to the Franklin & Marshall Fund and other areas of the College such as arts, athletics, scholarships and academics via the Pioneers Club. 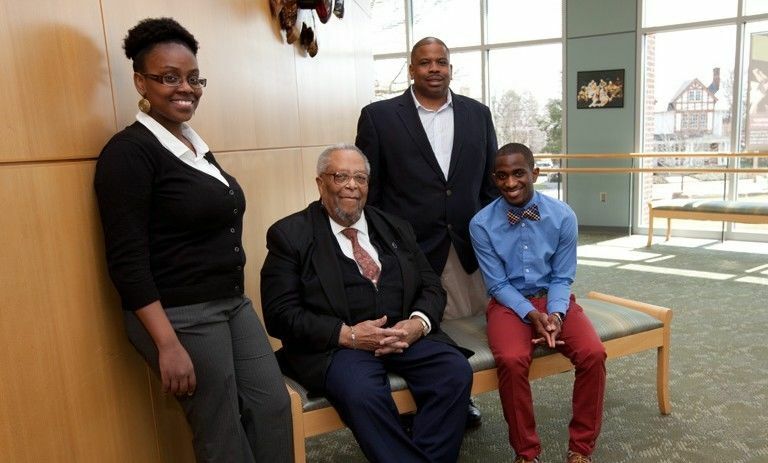 The African American Alumni Council firmly believes that any efforts to honor and celebrate our pioneering students and alumni of color must include a concerted effort to elevate, through our philanthropy, students of color at F&M. It is in this spirit that the council has created the Pioneers Club. The AAAC hopes you, also, will be touched, moved and inspired to give generously to this investment in the future of African Americans and all people of color at the College. We invite you to participate. Thank you for your partnership. Note: When making your gift online, be sure to write "Pioneers Fund" in the notes section.